Indonesian citizen. He joined the Company in January 2002, becoming President Director in 2002. 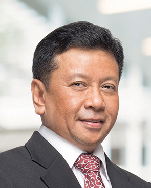 Prior to joining the Company, he held the position of CEO of PT Bukit Sentul Tbk (1997-2001). 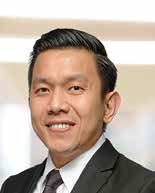 He started his professional career in Citibank N.A., Jakarta (1989-1997) with his last position being Vice President - Risk Management Treasury Head. He is an MBA graduate from Oklahoma University, USA. Currently, he also serves as President Director of PT Matahari Department Store Tbk and President Commissioner and member of Nomination & Remuneration Committee of PT Multipolar Tbk. Joined the Company in 2017. Currently, he also serves as Chief Financial Officer. He has 17 years of experience in private equity and corporate space, including 4 years experience at The Abraaj Group as Director overseeing investments in South East Asia and also 5 years at Northstar Group, a leading private equity firm focusing in South East Asia countries, where he involved in several transactions in various sectors, including several consumer-facing businesses. Prior to this, he held various positions at Jardine Group, including Astra International, Jardine Motors Group, Jardine Matheson, and Federal International Finance. Indonesian citizen. Joined the Lippo Group in October 2004 and was the Company's Director since May 2005. Within 2005 - 2012, he held an important role as Director of the Company's human resource aspect. He has an Engineering degree from Universitas Trisakti, Indonesia and MBA degree from Greenwich University, Hawaii, USA. 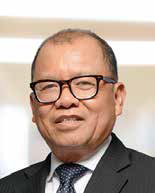 Previously, he held several positions at leading corporations, including PT International Nickel Indonesia Tbk (1978 - 1986) and PT Goodyear Indonesia Tbk (1986 - 2002). Currently, he is also the Director of PT Matahari Department Stores Tbk. Indonesian citizen. She joined the Company as a Director in April 2016. She started her career in PT Bank Lippo Tbk from 1985 to 1987 as an Internal Auditor. Between 1988 to 1999 she was the Corporate Secretary of PT Pacific Utama Tbk, PT Lippo Karawaci Tbk and Lippo Securities Tbk. From 2000 until 2008, she served as Corporate Secretary of PT Bank Lippo Tbk. She represented PT Bank Lippo Tbk as a member of the Board of Commissioners of PT Ciptadana Assets Management from 2001 until November 2005. 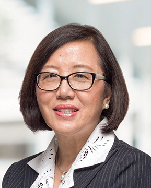 In the end of 2008, she returned to Lippo Group to serve as Legal Director and Corporate Secretary. She obtained her Bachelor of Science Degree in Mathematical Statistics from Monash University, Australia. Currently, she is also the Director of PT Matahari Department Stores Tbk.